If you’re running a small business in Wales, or starting one, the Welsh Government’s support service for entrepreneurs could provide you with valuable knowledge and advice. Business Wales could help you draw up your business plan, decide on your business strategy, and market your products. Business Wales stages a series of seminars to help people decide whether they’re ready to start their own business. The ‘taking the plunge’ sessions look at the choices business people need to make – from becoming self-employed or incorporating a company to which finance options are available. The free online learning resource BOSS (Business Online Support Service) provides support to people starting their own business. BOSS also offers live chats with tutors and forms for networking with other business owners. 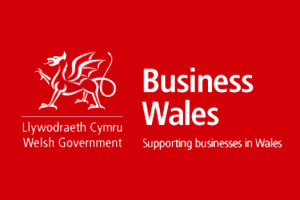 Business Wales’ events include social media masterclasses, sessions exploring digital technology, and sessions on subjects like exports, tax, sustainability, HR, branding, tendering, and product design. Many of the sessions are free for business owners. If you’re not yet registered on the Business Wales free directory, it’s worth creating a profile. The directory gives you more exposure and it’s an excellent quality backlink into your website – as it has a .gov domain. Read the real-life stories of entrepreneurs just like you in Business Wales’ case studies here: https://businesswales.gov.wales/case-studies. Every month, Business Wales features a spotlight on one industry – with tips on trends, real-life stories, and the latest news. There’s a link from Business Wales to the Welsh Government’s Sell2Wales site which looks at the available public sector contracts in Wales and helps you tender for them. This is a great tool for SMEs. Does your start-up need web design, SEO or social media services, or logo design? Call us on 0800 0155245.